Franconia Ridge Poster, photos by Ari Ofsevit. 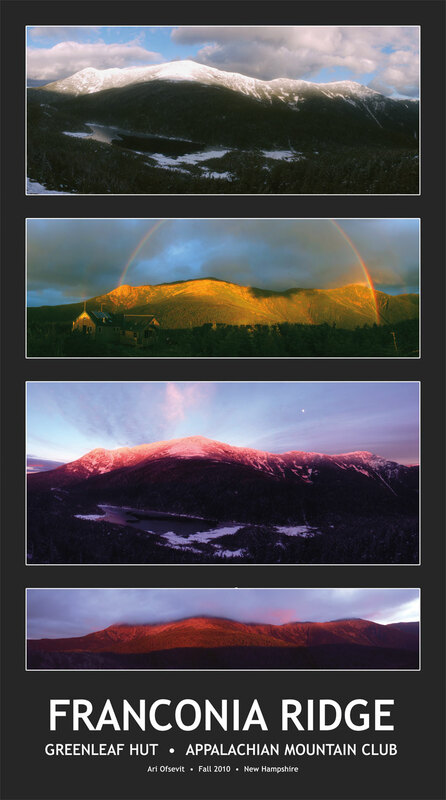 This beautiful poster displays four different views of Franconia Ridge taken from the vicinity of Greenleaf Hut by hut naturalist Ari Ofsevit. Measures 20 1/2" X 37".